Even though there are all types of carpet out there, most can be broken down into two different styles: loop pile and cut pile. Loop pile is considered the more hardy style of carpet. It goes perfect in children's rooms, hallways, and other heavily traffic zones. Cut pile is softer and more comfortable, perfect for spaces where you are looking to enhance a style. Of course, within these styles there are several different materials to choose from. There is nylon, polyester, olefin, wool, and others. Each type of material has its advantages. For instance, nylon is the most durable type of carpet available, comes in a variety of colors, and is fairly inexpensive. Wool carpet is beautiful, but a bit more expensive and hard to clean. Once you have decided on the right type and style of carpet, you need to pick a color. No matter what type of carpet you choose, remember that you will be designing a room around it. Neutral tones, such as a white, beige or grey, are easier to design around, especially when you try to find matching paints. They also give you the ability to be flexible with different colors for the rest of the room. Dark colors are great for children's rooms and walkways, because they do not show as much if something gets spilled on them. They are also easier to clean. That being said, wild colors can be fun to pick as well. Sometimes you want a room to have extra pizzazz, and an expressive color can bring out a room's eccentricities. No matter what kind of flooring you decide to go with, pick something that you think will be long lasting and worth the price. 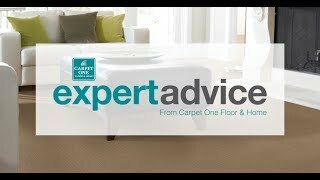 Learn more about carpet at Bishops Carpet One Floor & Home in Ithaca.